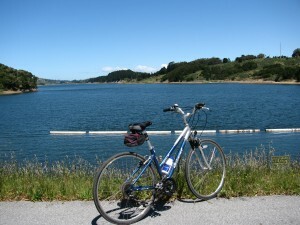 Join us on Friday afternoon, March 2, 2012 for a Nordic Walking training around beautiful Lake Merritt in Oakland. This park has undergone an amazing transformation thanks to the voting citizens of Oakland. Class is listed with the City of Oakland. Nordic Walking helps you walk with the attitude of youth. Click here for a step-by-step tutorial with video. Photo from our bird-bu ddy, Len Blumin, with edited comments below. 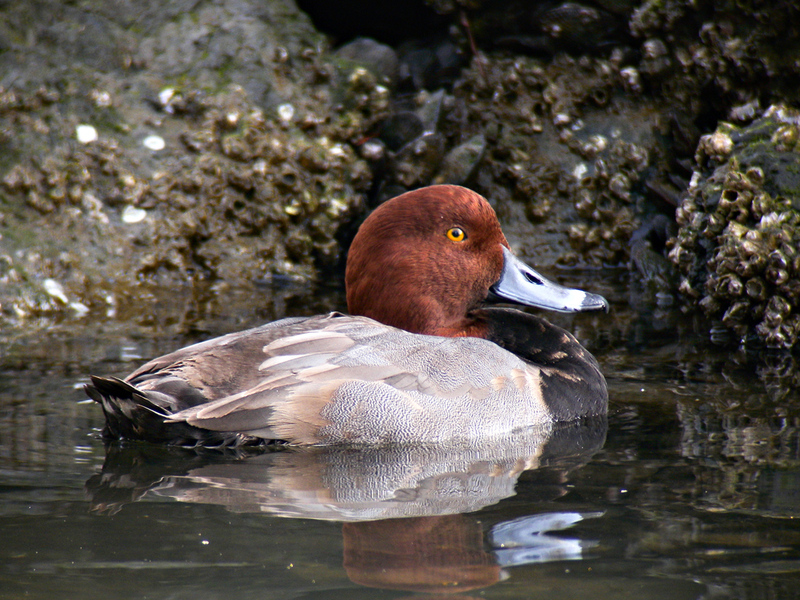 The Redhead (Aythya americana) is sometimes seen in bays (Tomales Bay, Bodega Bay, etc.) 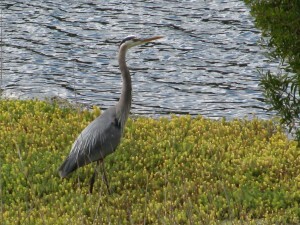 but more often on lakes and ponds. In my limited experience they have been shy birds, always too far for a photo. 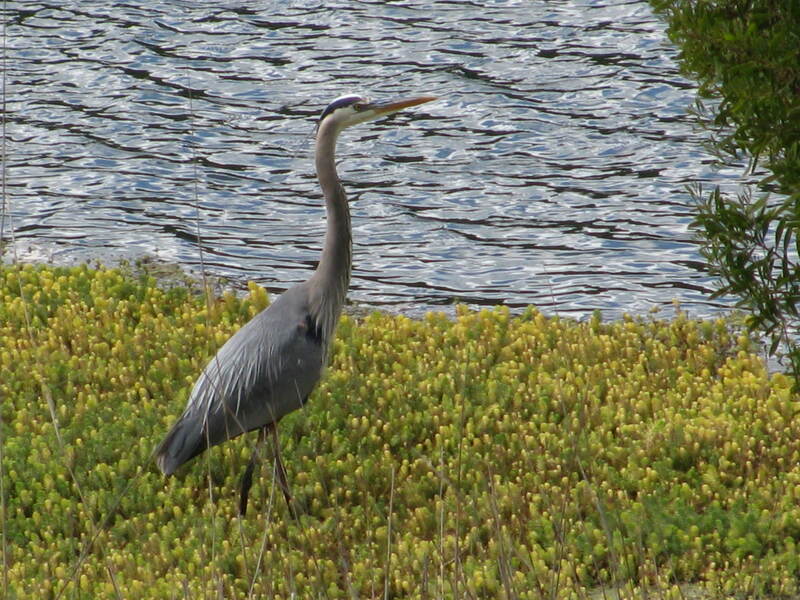 Imagine our delight when this one joined all the scaups and other Aythya at Lake Merritt yesterday. Swimming with 50 feet of the Redhead were a male Tufted Duck, male Ring-necked Duck, and both sexes of the Canvasback, Lesser Scaup and Greater Scaup. The Redhead is a pretty duck, and rather unmistakeable. An old name for the Redhead was “American Pochard”. If there is a better “natural” spot in the world to view the Aythya, I’d be surprised. Rick Deutsch, for a fun instructional 1-hour session around Reno’s beautiful Sparks Marina. You might know him better as Mr. Half Dome, having hiked to the summit 30 times. 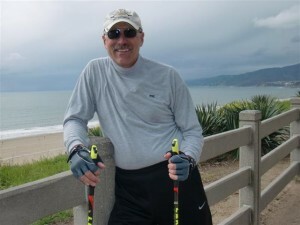 Rick also teaches Nordic Walking on Crystal Cruise ships. He’ll have loaner LEKI poles for the 1-hour sessions, so you can experience the benefits of Nordic Walking. Classes will be held at 1 pm, 2 pm and 3 pm. They are $25 and pre-registration is required. Only 10 people per session. The event is sponsored by Healthy Beginnings lifestyle magazine. Call 775-828-1309 to book your spot now. 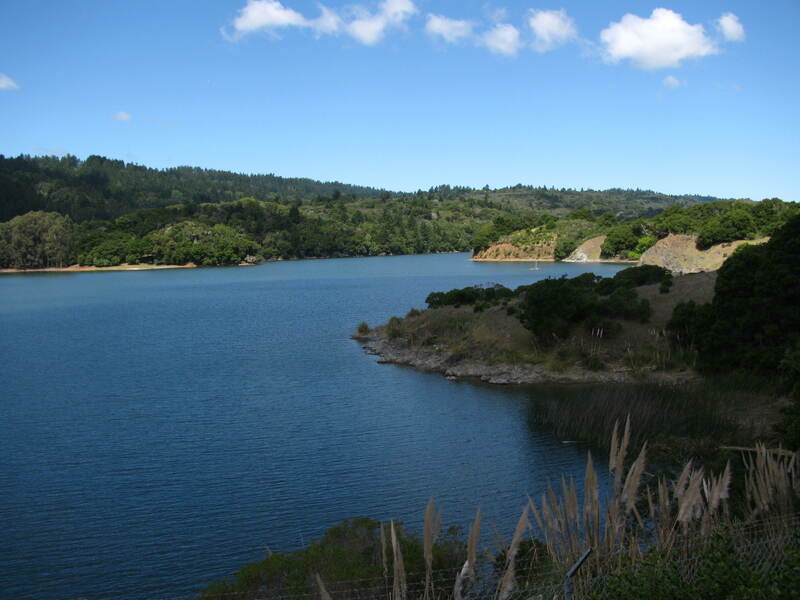 This lovely locale is easily accessible, paved the entire way with gently rolling hills along a beautiful reservoir. For bikers: do this Mon-Fri. 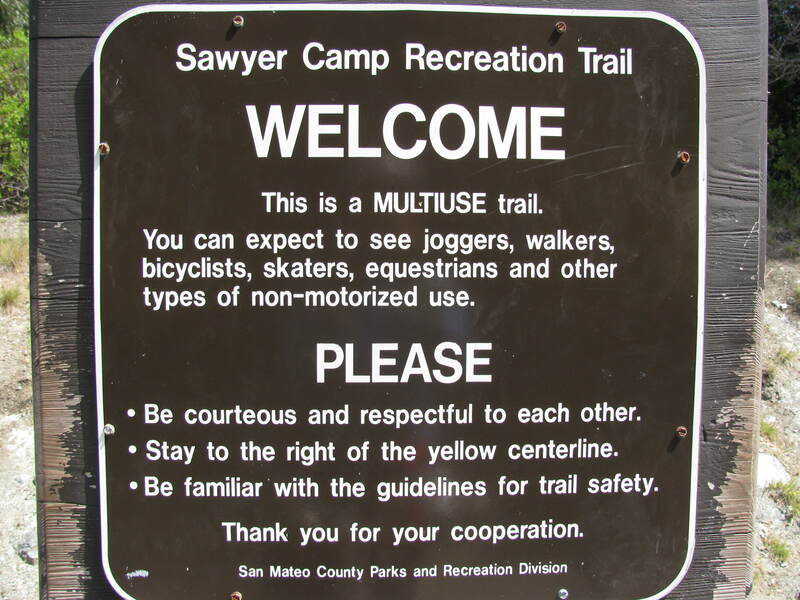 Weekends are too busy with walkers for biking. This is a great biking option year-round. In Springtime, there’s an amazing array of flowers. Bring your binocs – you never know what you might see. Bike + Binocs = Bird-mobiling. You can start at either end. I usually start at the North end. There’s a large gravel parking lot at the corner of Skyline & San Bruno Ave. 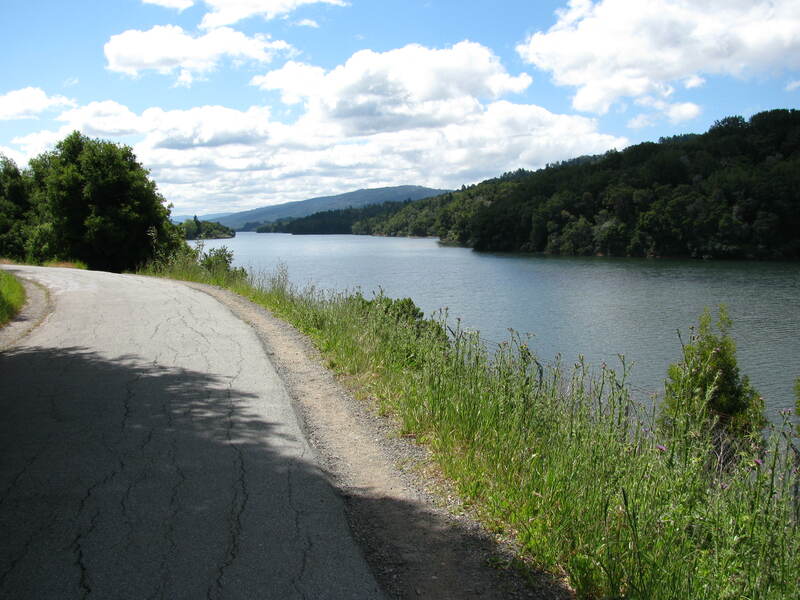 This ride direction is a bit more difficult because there’s more uphill on the return. Also, it ensures that I do both segments (which are separated by an easy piece on the road). 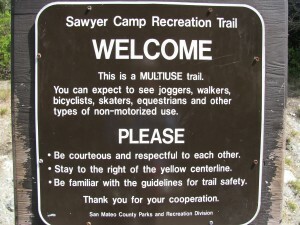 Walkers can stay on the path, but bikers have to veer off to connect the 2 segments. If you start at the south end, it’s off of Highway 92. For more info, check this link. Or this one. These photos were taken in early May. The red flowers are columbines. 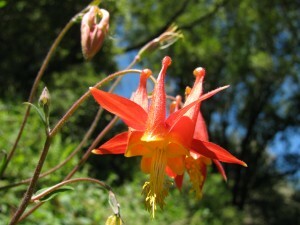 I’ve never seen such an abundance of columbines – thousands – just below (south of) the dam. Walking with Hand Weights: Is this a good or bad idea? Walking with hand weights is a TERRIBLE idea. No one is ever smiling. Walking form suffers – often significantly. What movements are people doing? Mostly Biceps curls. Oh goody, lots of biceps curls – maybe 400? This is repetitive movement of the elbow joint: think tendinitis. What good do the weights do when they’re not in use? NOTHING. Hands have to GRIP the weights. This impairs a natural arm swing. This inhibits spinal rotation. 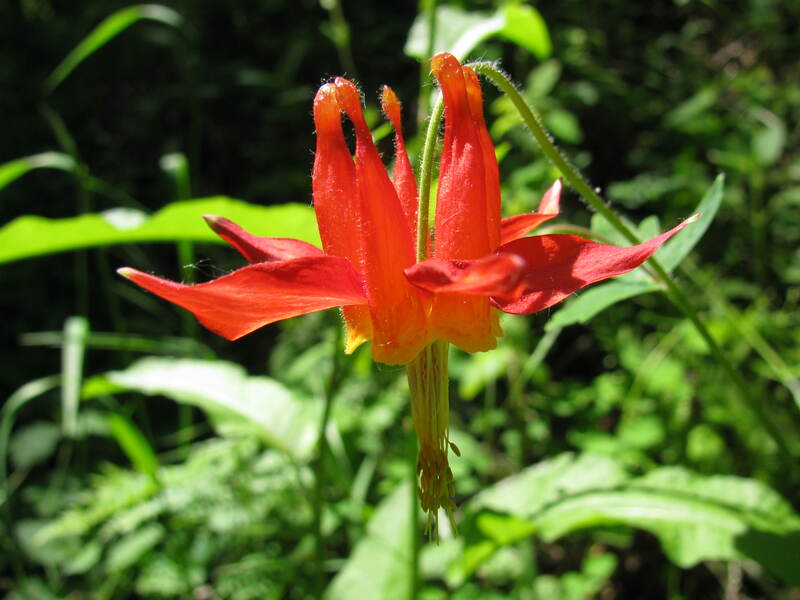 You lose the spinal lubrication that is inherent in healthy walking. Gripping causes strain in the fragile joints of the hand. What happens to the shoulders? Mostly they rotate forward. This is TERRIBLE for posture. It looks OLD. Do you need more reasons why walking with hand weights is a terrible idea? Now, if you want to multitask or up the energy in your walk, try Nordic Walking. 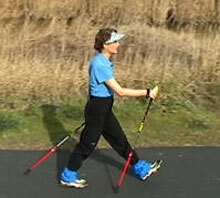 Search Nordic Walking on this blog and, if you still have ANY doubts at all, contact us. Lots of people are blogging about Nordic Walking. These posts tend to be “thin” with lots of sales links. Also, people are mixing trekking poles and Nordic Walking poles. Trekking poles are for hiking. Nordic Walking is a great exercise activity. Click for a comparison of poles and styles. Exercising with poles: When you walk, the opposite arm swings with the leg. This alternating stride is called reciprocal gait. It’s the natural walking pattern. Adding poles can facilitate an exaggerated movement which increases spinal rotation – this is like lubricating your spine. Using optimal form, muscles in your back, core and arms assist in a pushing action. If your shoulders are in the optimal position (it’s called scapular retraction and depression – imagine rolling your shoulders up, around, down and back as if you were putting your shoulder blades into your back pocket), then the large back muscles facilitate an ELONGATED SPINE. Rather than “slumping,” you’re standing and walking TALLER! This translates to healthy, youthful walking. It’s very good exercise. For an accurate tutorial (video and step by step instructions) on how to achieve optimal form, check out our Nordic Walking Page. For lots more pole tips, including etiquette and form search this blog for etiquette and tips. Nordic Walking poles are not for hiking. One piece poles are not better for everyone. Adjustable poles enable you to progress as you learn. Properly adjusted and cared-for poles do NOT slip or collapse. Everyone on the planet is not the same, so choosing a pair of poles is an individual choice. Not one style or model works for everyone. Not every blog post purporting to be expert is actually accurate. If you do something that does not feel right, listen to YOUR BODY. The decision of which type of poles might best suit you depends on your issues and goals. For example, a older adult at risk for falling forward would not be best served with the propelling technique used in Nordic Walking. 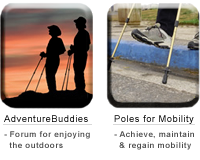 If you wonder what might be best for you – trekking or Nordic Walking poles, you can fill out a Pole Consultation Form. Please fill it out completely, including your phone number. Happy Walking, Hiking, Moving & Grooving!